This was a fun project. I waded through page after (digital) page of Missouri, Illinois and a few North Carolina newspapers from the 19th and 20th century, trying to get a better handle on the heritage of my family surname. Before I started the research, I knew a few things about the surname. I knew that the Claywells had landed on North American soil by the 1650s. I knew they had settled, like many early inhabitants, on the eastern seaboard — mostly in Maryland and Virginia. I also knew that when many of them left the eastern seaboard they headed to North Carolina and Kentucky. But, as I started to uncover more about my family, I found several Claywells, including the sons of my grandfather — six generation back — Shadrach — heading west into the frontiers of Illinois and the Kansas Territory. This eBook is about the hardships and triumphs of some of those descendants. 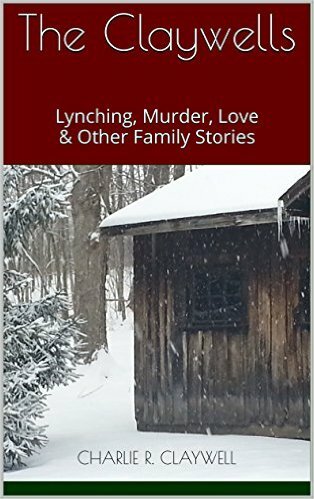 Purchase The Claywells: Lynching, Murder, Love & Other Family Stories on Amazon today.